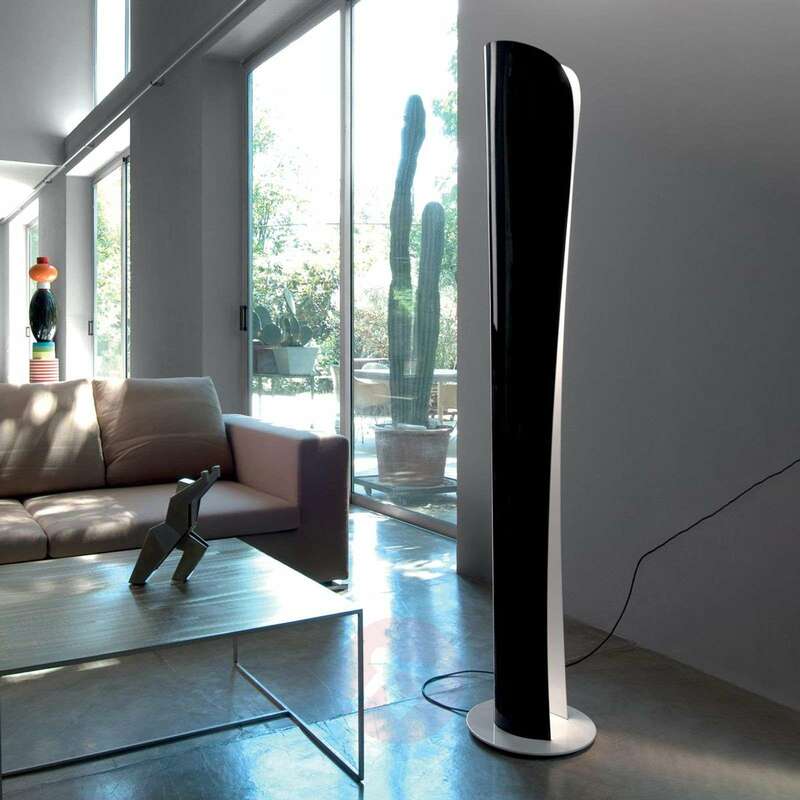 The Cadmo LED floor lamp was designed by designer Karim Rashid and dates back to 2013. The columnar body is open on one side and its thickness varies over its entire length. A GU10 LED bulb is housed in the opening at the top, whilst LEDs are installed in the rest of the lamp body. 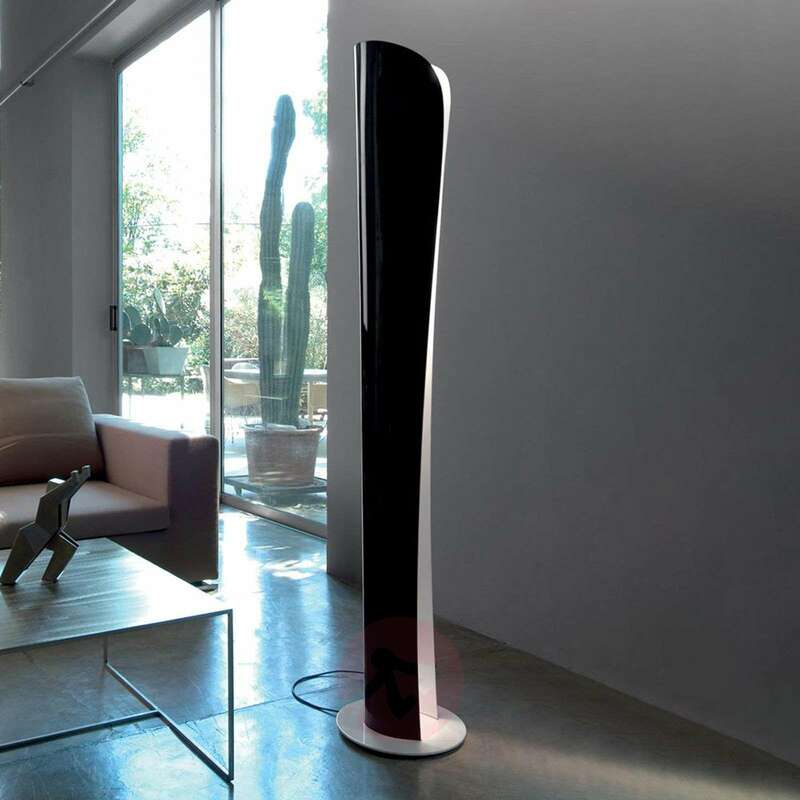 While the GU10 lamp emits a very directional light upwards, the LEDs in the body provide a more diffuse light. The LEDs in the body can be dimmed using the integrated dimmer, but not the GU10 uplight bulbs. 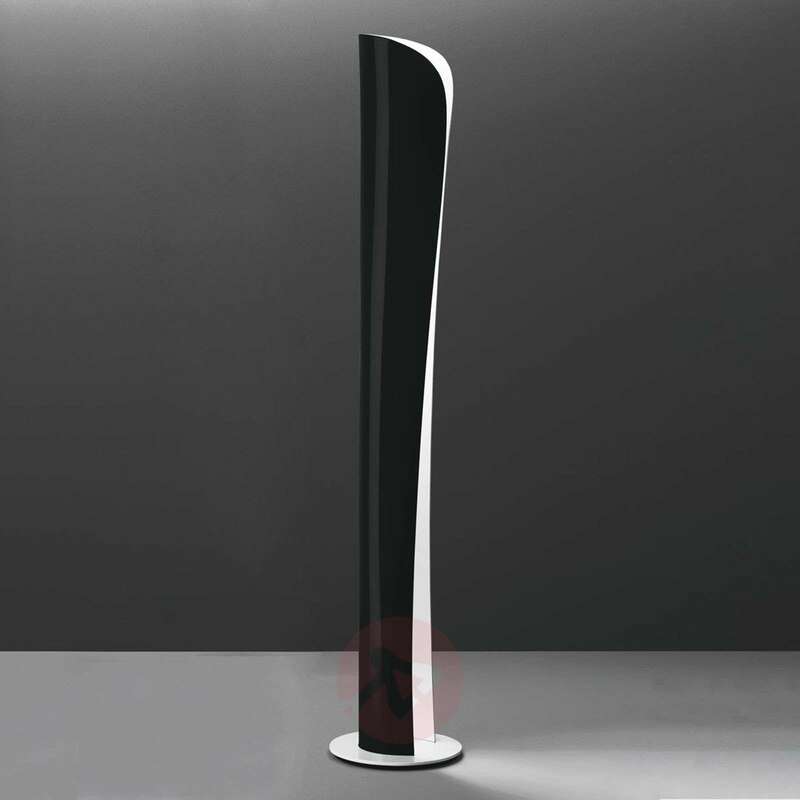 American designer Karim Rashid is one of the most prolific and successful designers of his generation: With more than 300 designs already produced and more than 300 awards to his name. He is active in more than 35 countries worldwide and has also designed a number of lighting series for the Italian designer lighting manufacturer Artemide. With the Cadmo floor lamp, Rashid won the IF Product Design Award and the Good Design Award of the Chicago Athenaeum.